On Tuesday, sad news hit the football community when Purdue University student Tyler Trent passed away from a rare form of bone cancer. He was 20 years old. osteosarcoma came to light following a 2017 story written about him and a friend camping outside Purdue’s football stadium just hours after a chemotherapy session. Trent was an aspiring sportswriter at the university and formed a close knit relationship with the football program and head coach Jeff Brohm over the next two seasons. The team began visiting Trent during his tough days, later naming him honorary team captain and crediting him for wins. Former Boilermaker and New England Patriots 2018 fifth round draft pick Ja’Whaun Bentley shared a series of heartfelt messages over social media following Trent’s passing. Bentley was a four year starter at Purdue, graduating after the 2017 season. He returned to see Trent one final time in November. This entry was posted in 2018 Patriots Regular Season, Patriots News, Patriots Photos, Patriots Twitter and tagged Ja'Whaun Bentley on January 2, 2019 by Robert Alvarez. On Sunday night the New England Patriots entered their Week 6 matchup with the undefeated 5-0 Kansas City Chiefs. Coming into the game, in the Belichick/Brady era, the Patriots were seeking to move to 24-0 at home in the regular season against rookie quarterbacks. Chiefs standout rookie Patrick Mahomes stood in the way. In the first quarter after both teams traded field goals, Patriots linebacker Dont’a Hightower recorded his first career regular season interception to set up the games first touchdown. Running back Sony Michel continued his hot pace, becoming the first Patriots rookie to record a rushing touchdown in three straight games since Benjarvus Green-Ellis in 2008. After the Chiefs responded with their second field goal, the Patriots led 10-6 after the first quarter. In the second quarter, the Patriots opened the scoring when Tom Brady found Julian Edelman for his first touchdown reception of the season, his first since the 2016 AFC Championship game. 17-6 Patriots. First touchdown reception for Julian Edelman since Jan. 22, 2017, against the Steelers in the AFC title game. Leading 17-9 following a third Chiefs field goal, rookie Sony Michel found the end zone again, becoming the first Patriots rookie with two rushing touchdowns in a game since Laurence Maroney in 2006. 24-9 Patriots heading into halftime. 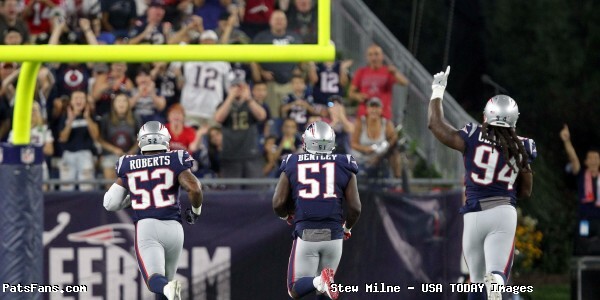 First #Patriots rookie with a two-TD game since Laurence Maroney in 2006. In the third quarter, Patrick Mahomes and the Chiefs began their comeback, with Mahomes finding Kareem Hunt deep for a 67-yard touchdown to close the gap to 24-16. After another Chiefs field goal to cut their deficit to 27-19, the defense also made plays, forcing a Brady fumble that led to another touchdown. With a minute to play in the third, Mahomes found Tyreek Hill to make it a one point game at 27-26 after three quarters. 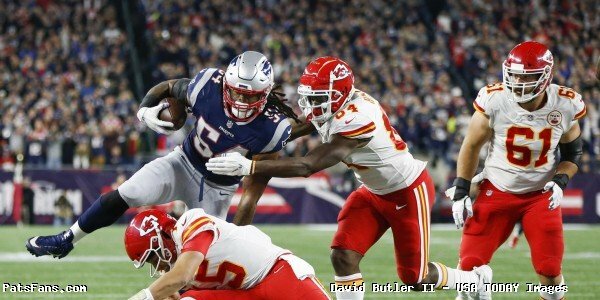 Although the Patriots opened up the fourth quarter with a field goal to push the lead back up to four at 30-26, the Chiefs kept the pressure on following this 97 yard kick return by Tremon Smith. The return setup a Mahomes to Hill 1 yard touchdown pass to give the Chiefs their first lead of the night at 33-30. Needing to respond, Brady and the offense drove down the field on the following possession, enter Chris Hogan. The deep ball setup this Brady four yard touchdown run to retake the lead, here comes the Clydesdale! 37-33 Patriots. Tom Brady going all Snow Bowl on the Chiefs. That was pretty cool. With the Chiefs trailing by seven following another Patriots field goal, with three minutes to go in the game Mahomes again attacked the Patriots secondary and found Tyreek Hill for a 75-yard touchdown to tie the game at 40. The good news, the Patriots had three timeouts and plenty of time…oh and some guy named Tom Brady. With 3:03 to go in the fourth, Brady marched the Patriots down the field with a little help from his tight end. The drive setup a 28-yard field goal attempt by Stephen Gostkowski, who drilled it for the 43-40 victory. This entry was posted in Patriots Commentary, Patriots Photos, Patriots Twitter, Patriots Video and tagged Chris Hogan, David Andrews, Deion Branch, Duron Harmon, Ja'Whaun Bentley, Jermaine Wiggins, Julian Edelman, Keion Crossen, Kyle Van Noy, Rob Gronkowski, Sony Michel, Stephen Gostkowski, Tedy Bruschi, Tom Brady on October 16, 2018 by Robert Alvarez. During Monday Night Football, New Orleans Saints quarterback Drew Brees set the NFL all-time record for career passing yards following a 62 yard touchdown pass to receiver Tre’Quan Smith. Brees finished the game with a career total of 72,103 passing yards, surpassing Peyton Manning’s 71,940 for first place all-time. Following the record breaking touchdown pass, current and former Patriots took to their social media accounts to congratulate the future Hall of Fame quarterback. Way to do it in style, Drew. Congrats! DREW BREES all-time NFL passing yardage leader. 71, 968 career yards. Broke the record on a 62 yard TD pass because of course he would. What a career! Huge congrats to @drewbrees ! Truly one of the great men to play in the NFL. Former Patriot Donte’ Stallworth also took time to share a person story from his first meeting with Brees. One day during rehab together, Drew turned to me and said, “hey I talked to your boy the other day.” I had no clue who he was talking about. “Who?” “Sean Payton,” he replied. I immediately got excited at the prospects of catching TD passes from Brees in a Sean Payton offense. Then Drew began reeling off my 2005 season stats, the routes I ran the most, and what he envisioned we would be successful at. But not just me, he knew the depth chart of every position, and their contract situation. That’s when I knew I first witnessed the greatness, that’s when I knew Brees was on a different level. His play shows the work, the meticulous attention to detail week in and week out, over the course of many seasons. Congrats to the all-time passing leader! As an added bonus, here is Peyton Manning congratulating Brees for breaking his record. This entry was posted in Patriots Commentary, Patriots Twitter, Patriots Video and tagged Damien Woody, Deion Branch, Donte Stallworth, Drew Bledsoe, Drew Brees, Ja'Whaun Bentley, James White, Peyton Manning, Tedy Bruschi on October 9, 2018 by Robert Alvarez. Apparently, the message wasn’t sent or received this week. After a disastrous first quarter in Jacksonville last week, the prevailing theme was the Patriots needed to show much more urgency and energy to start this week’s primetime game against the Detroit Lions. The Lions were entering 0-2, players and fans were already rumbling about new coach Matt Patricia and a quick start it was thought would get the crowd and players doubting themselves…. Well, that didn’t happen. At all. If anything the Patriots got out to an even worse start than in Jacksonville and you can’t blame the 99-degree heat and Florida zip code for this week’s debacle. Once again the Patriots were manhandled at the line of scrimmage badly as Detroit could do whatever it pleased on both sides of the ball and the results spoke for themselves as they cruised to 26-10 mauling of the Pats on Sunday Night Football. While the pregame hype had more people watching Josh Gordon play catch with a Patriots coach than t.v. cameras looking for a puff of white smoke from the Sistine Chapel, they should have been watching the warmups for the offensive and defensive lines. Because for the second week in a row they were a no-show. Black smoke coming up for them. The Patriots have some serious issues along the right side of the defense. We’ve been saying now since the Houston game, that teams were running to the left of the Patriots defense. One week in an anomaly, two weeks is concerning, three weeks is a trend. The game plan was for the Patriots to keep two safeties deep to take away the deep passing of the Lions. With three starters out on the defense, two in the secondary (Pat Chung and Eric Rowe), it made sense. But the DL didn’t hold up at all. We mentioned in our key matchups that Detroit, after all, was averaging just 68.5 yards per game on the ground and hadn’t had a 100-yard rusher since Reggie Bush nearly five years ago. We also wrote that the Detroit running game was the key defensively to the game. Stop the run and they’re one-dimensional. If they can run the ball, then it will open up all kinds of other options for Matthew Stafford. Detroit ran the ball down their throats at will targeting the left. Frank Ragnow totally dominated Malcom Brown at the point of attack and had him on roller skates blowing him 4-5 yards consistently off the ball. That kind of push opened the doors for Kerryon Johnson to run for 101 yards on the night on just 16 carries. That is a 6.3 yards per carry average. Worse for the Pats is the play of Dont’a Hightower, also on the left who appears slow, and physically nothing like the player we’ve come to expect. The Patriots running game has for the past few years run to the opposite side, to the right behind Shaq Mason and Marcus Cannon. They weren’t getting any push at all against Detroit’s front seven, which had resembled a sieve the first two weeks of the season. Opponents had been gashing the Lions front seven to the tune of 179.5 yards per game. That front seven swallowed up the Pats running game and spit them out. Their smaller, speedy linebackers did a great job of negating the short passing game and Tom Brady was reduced to taking deep shots down the field into double coverage where only one pass was picked off and a couple of others may have been. It was an ugly, ugly night for the Patriots offense which gained a total of 209 yards on the night. Detroit led 13-0 before the Patriots even had a first down, where was the urgency there? Patricia made a questionable decision to kick a field goal on the Lions first possession facing a 4th and 1 after they gashed the Patriots down the field. But then Kenny Golladay just got the ball over the goal line on the Lions next possession before Stephon Gilmore stripped it away and it was 10-0 and things were going from bad to worse. Detroit was running the ball at will and Stafford all day to throw the ball. Offensively the Patriots couldn’t get a first down, let alone put points up. They finally got a field goal before the half after they got the offense moving a bit and were fortunate to be down just 10 points at 13-3. Stafford then made a huge blunder at the beginning of the third quarter, trying to force a ball into tight coverage with linebacker Ja’Whaun Bentley in perfect position to pick it off. Brady quickly moved the Patriots the 52 yards to a score, capping it off with a TD pass to James White making it 13-10. But any hopes for a turnaround were dashed when Stafford led the Lions on a 75-yard drive eating up six minutes of the clock and capped it off with a 33-yard touchdown pass to Marvin Jones. Gilmore had Jones and was attempting to pass him off to safety Duron Harmon. Harmon however, continued to play downhill and totally whiffed, forcing Gilmore to stop and then attempt to close again and was left far behind for an easy score. Poor communication topped off a bad night all around. Stafford ended up 27-36 for 262 yards with two TDs and a pick. Brady finished just 14-26 for just 133 yards with a TD and a pick. Lots of changes need to be done and this team can fix a lot of what ails it. But they have a lot of work to do before Miami who is 3-0 comes to Foxboro next week. Deatrich Wise: The second-year DE playing with his hand in a cast, tried to fire up the rest of his moribund teammates with a run stuff and a sack. A rare bit of emotion and energy from a defense that was sorely lacking in both. 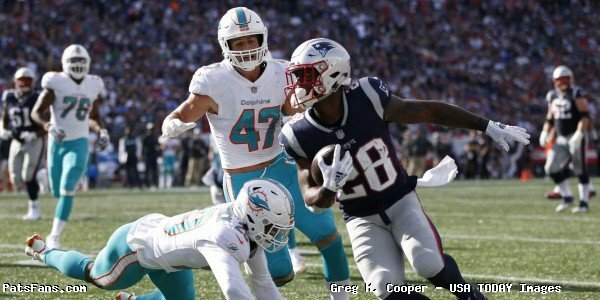 James White: The Patriots talented pass-catching running back was his usual dependable self and the coaching staff would have been better served getting him more touches than trying to force feed it to rookie Sony Michel when it was clear he was laboring. White finished with 37 yards on just four carries and three catches in the passing game including the 10-yard touchdown pass from Brady for the Pats only TD. Ja’Whaun Bentley: The rookie linebacker made a play on the interception that the team sorely needed to start the second half, giving them at least a shot at coming back. He’s now taken over the play-calling responsibilities in the middle. A big jump for the rookie 5th round draft pick. Malcom Brown/Dont’a Hightower: This can’t be overstated. Teams are attacking the left side and those two are playing very badly right now. The Patriots tried to switch things up in the second half, going to a 3-4 look, taking Brown out and going with an extra linebacker. The former first rounders are not playing anywhere near their potential right now and may force the team to make some moves. Shaq Mason: What happened to that run mauler that we’ve come to expect every week? Mason is being badly outplayed and beaten in one-on-one matchups every week and it is time for Dante Scarnecchia to light a fire under him and the entire offensive line when it comes to run blocking. Duron Harmon: While Patriots fans were screaming on social media that Gilmore was toasted on that long touchdown pass to Jones, nothing was further from the truth. That was clearly on Harmon who failed to recognize what was happening and left his corner out to dry. After the Patriots had closed the gap to just three points, a breakdown of that magnitude was inexcusable. 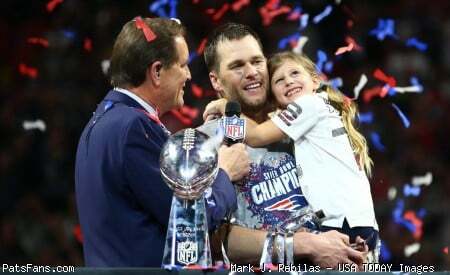 This entry was posted in 2018 Patriots Regular Season, NFL Commentary, NFL News, Patriots Commentary, Patriots Film Room, Patriots News and tagged 2018 Patriots season, Bill Belichick, Chris Hogan, Deatrich Wise, Detroit Lions, Dont'a Hightower, Ja'Whaun Bentley, James White, Kerryon Johnson, Malcom Brown, Marvin Jones, Matt Patricia, Matthew Stafford, New England Patriots, NFL, Patriots, Rob Gronkowski, Sony Michel, Tom Brady, Trey Flowers on September 24, 2018 by Steve Balestrieri. The New England Patriots hit the road to take on the Jacksonville Jaguars in a big Week 2 matchup. After the two teams met in the conference championship in January, and Tom Brady led the Patriots to a big 4th quarter comeback win, many people believe that Jacksonville is ready to take the next step and challenge the Patriots for supremacy in the AFC. Sunday’s game, in that respect, will be more important to Jacksonville than to New England, who under Bill Belichick, tend the treat the first quarter of the season as an extended preseason. But the hype is there for both teams and we would expect to see both teams approach this as a big, albeit early season game. There has quite a bit of chirping from the talented but brash Jalen Ramsey about several members of the Patriots, including Rob Gronkowski. Ramsey doubled down on his comments this week, basically calling him out. Actually, he backtracked a bit on what he said last month when he said Gronkowski is overrated so no, no one is getting it twisted. So Ramsey will get what he wants, playing for a small market team, he’ll now be the focus on Sunday’s broadcast regardless of who lines across from him in a Patriots uniform. It won’t be the Jaguars defense but Ramsey that will be the subject of much of the talk this week. It has already begun. However, the game will feature a number of key matchups that will determine the ultimate winner on Sunday around 8:00 p.m. and bragging rights, for a few weeks anyway. The Jaguars defense plays a very Seahawks-esque Cover 3 and they have tremendous speed all over the field. But they also have the capability to mix in man coverage as well when they want. The front is very hard to run against, they consistently get penetration across the board which interrupts the flow of the offense. What seems to work against the run defense is some zone runs, misdirection, players in motion. The backs will have to have the vision to see some cutback lanes when they avail themselves. The Patriots QB is coming off a very solid game where he threw for 277 yards and three touchdowns but he knows that the Jaguars secondary is much better than Houston’s, something he witnessed firsthand in the conference championship. The pass rush is very good and they get excellent pressure from the inside, which takes away from Brady’s ability to step up and slide from the outside edge pressure. Brady can counter that with getting the ball out quickly something he’s done for virtually his entire career. He’ll look to spread the ball around and get everyone involved in the passing game. James Develin caught four passes last week after catching six all of last season. Brady will use his backs, James White and Rex Burkhead, (if he’s available) much like slot receivers and try to get them in motion. Gronkowski had a huge game last week and with the thin depth at Wide Receiver, his role becomes even more important to the offense. He’s Brady’s most trusted go-to guy on the roster and Jacksonville will try to take him away and force Brady to go elsewhere to beat them. Last year, the Jaguars did a good job on Gronkowski with safety Barry Church in the first half of the conference championship. It was Church’s borderline head shot that knocked him out of the game with a concussion. Look for Brady and Josh McDaniels to move Gronkowski around the formation trying to free him up as much as possible, especially right off the line. But McDaniels will also use Gronkowski as he did last week, to open up more field for the other wide receivers. Phillip Dorsett seemed to make great strides last week in his development with the Patriots offense, making seven catches on the day. This week, the team may need similar efforts from Chris Hogan and Cordarrelle Patterson. The team got Patterson involved early and he had four touches in the first half, but none in the second half. Hogan had a very disappointing game and had just one catch for 11 yards. That won’t be enough this week. 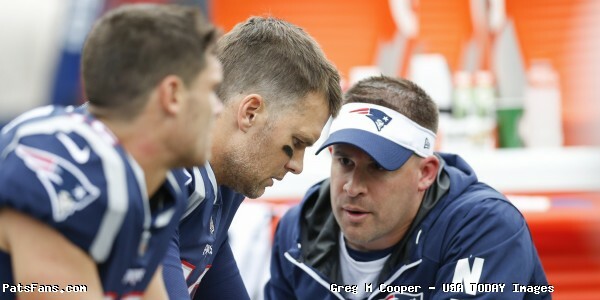 Both will have to step up their games to give Brady other options to work with. Patterson will likely see single coverage outside and other than his usual gadget type package that the team worked on with him this summer, he could be used to stretch the field along the boundaries. The Patriots best defensive lineman made his first appearance on the field last week and had a very impressive game. He’ll be looking to keep his production up this week as the Jaguars present a more difficult opponent for the Patriots, especially on the road in what promises to be a loud and raucous stadium. I actually look for Blake Bortles and the Jaguars offense to be more aggressive in the early going and throw early and then use their punishing ground game to wear down the Patriots defense in what promises to be 93-degree heat and keep the offense on the sideline. Bortles can move and scramble with the ball, Flowers and the other edge players must push the pocket without losing containment and bring pressure on Bortles and try to disrupt their passing game. He’s the guy that sets the tone for the other Patriots edge players and he’s in the spotlight this week. The Patriots rookie linebacker had a very solid summer followed by an impressive rookie debut against the Texans last week. With the power running game of Jacksonville with Leonard Fournette and T.J. Yeldon, the Patriots run defense must be much better than it was last week. The Texans ran to the left and I expect that the Jaguars will as well. The inside running game will be a key area to watch and the big (6’2, 255) rookie from Purdue will have another big test this week. He played more snaps at linebacker than anyone last week and I would expect him to have a heavy workload again. With the heat to play a factor late in the game, I’d look for the Patriots to rotate players in and out as often as possible. So Bentley, Dont’a Hightower, Kyle Van Noy and to a lesser extent Elandon Roberts should all see a significant amount of snaps. Third downs will be even more key this week with the heat factor. The team that wins third downs will wear down the other in the fourth quarter. The Patriots running back core was supposed to be one of the deepest areas of the team. But Sony Michel had his knee drained of fluid and has yet to see the field this season either in preseason or the regular season. Jeremy Hill was placed on IR with an ACL tear and Rex Burkhead is limited in practice with a concussion. That leaves James White and the just signed Kenjon Barner as the only healthy backs on the roster. Michel and Burkhead’s status this week is pretty murky so the team will lean heavily on the experience of James White. His plate is going to be full this week by default and add in facing a defense with the capability of the Jaguars and his workload will be extra heavy as the offense looks to find some room to maneuver. While White is usually the Patriots go-to back in the passing game, this week, he may be forced to take on a larger role in the running game as well. The Patriots veteran safety has had an increased role in his second stint with the team and has earned the trust of his fellow players and the coaches as well. With the changes the Jaguars had in their own wide receivers this year, Allen Hurns and Allen Robinson left via free agency, Marquis Lee on IR, they’ll lean more on their tight ends. Which means Chung will draw more of Austin Seferian-Jenkins this week. Jenkins played well against the Patriots a year ago with the Jets and this will be a key matchup to watch. Chung is always good in run support and he’ll be expected to help there as well. But against the Jaguars this week, we’ll probably see more of the “Big Nickel” with more three-safety looks with Devin McCourty and Duron Harmon to lend more support for the run defense. Chung should factor prominently this week in the Patriots game plan. 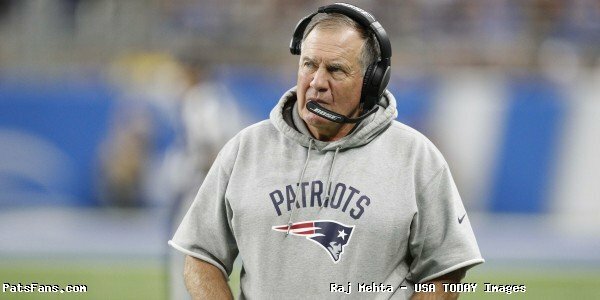 This entry was posted in 2018 Patriots Regular Season, NFL Commentary, NFL News, Patriots Commentary, Patriots News, Patriots Rumors and tagged 2018 Patriots season, Barry Church, Bill Belichick, Blake Bortles, Chris Hogan, Cordarrelle Patterson, Ja'Whaun Bentley, Jacksonville Jaguars, Jalen Ramsey, James White, Julian Edelman, Leonard Fournette, New England Patriots, NFL, Pat Chung, Patriots, Patriots edge rushers, Rex Burkhead, Rob Gronkowski, T.J. Yeldon, Tom Brady, Trey Flowers on September 14, 2018 by Steve Balestrieri. The Patriots took care of business at home against the Texans and they came away with the 27-20 victory that wasn’t really as close as the score would indicate. There was never the feeling that the Texans could take over and win this game and the muffed punt at the end, while it made it a one-score game, didn’t really change the momentum. It was a good win, with plenty of positives and also plenty of negatives for the coaches to clean up before they travel to Jacksonville next week. With the NFL showing a ton of sloppy play across the board in Week 1, we’ve become accustomed to most of the teams playing below par since most of the players barely see the field during preseason. So, with that in mind, the coaches will take the victory and move on. Overall the Patriots looked pretty good and were the better team throughout the game. The combination of Tom Brady and Rob Gronkowski seems to have not missed a beat and perhaps those missing OTAs sessions weren’t a big a negative as we were told to believe. There is a reason to feel much better about the pass rush this season, although the Houston OL is a bit suspect again. And the OL’s performance can only be described as a ton better than when the two teams met last year. There were issues with the run defense, turnovers and special teams coverages on the minus side. So, with the season opener in the books, we’ll start with the offense and the players can come forward to pick up their grade sheets. Tom Brady wasn’t at his very best, as he was quick to point out after the game on Sunday but he was pretty damned good. There was absolutely no rust factor involved with the offense under #12 and he was his normal cool, brutally efficient leader. All summer we heard the same mantra we’ve heard for what now? Eight to ten years? They have no weapons…the offense will struggle…yada, yada. Brady eats that like M&Ms, (although he probably eschews chocolate). He threw a nice back shoulder throw to Gronkowski for the Patriots first touchdown where the big man then muscled his way into the end zone. He also had touchdown passes to James White and Phillip Dorsett, who was the 69th player (Gronk approves this message) to catch a touchdown pass from Brady. And his best pass of the day was arguably the one in the fourth quarter when facing a third and long. Brady bought time, slid in the pocket and found his fourth option, FB James Develin for a key first down. He finished 26-39 for 277 yards with 3 TDs and 1 INT. The Patriots went with Rex Burkhead and James White mainly early in the game and then brought in Jeremy Hill later. Both Burkhead, who got the majority of the work in the running game and White were their normal solid performers on the field. James Develin provided his always solid game in the running game as a lead blocker but also chipped in with four catches for 22 yards. Develin had six catches all season in 2017 and nearly equaled that on Sunday. That’s nice stepping up. But overall, the running game went for 122 yards on 31 carries which isn’t bad at all. The wide receivers entered the game pretty thin with just four on the roster, minus STer Matthew Slater. While their numbers weren’t earth shattering they performed okay for the first game of the season but in the future, they’ll have to step it up. The bright spot was Phillip Dorsett who had just 12 catches all of last year. He had seven catches for 66 yards and a touchdown. On the final drive before the first half, Dorsett caught the last three passes Brady threw, including the four-yard touchdown. Cordarrelle Patterson had four touches including three carries and one reception. Chris Hogan’s day was a disappointment. He was targeted five times and had just one catch for 11 yards. Riley McCarron was targeted once and had no stats but he would figure prominently in special teams (more below). The third down conversion rate wasn’t good and it is the WRs who must step up and change that. 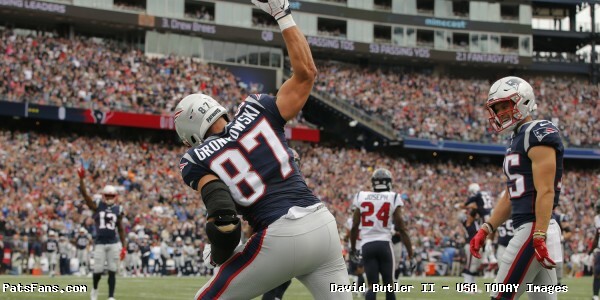 Rob Gronkowski is the best, most complete tight end in the NFL and it isn’t even close. The Texans decided that they were going to take him away with an athletic linebacker and a safety. It didn’t work. Gronkowski was the most dominant player on the field on Sunday. He caught seven passes for 123 yards and a score, despite being the guy they tried to shut down. His 22-yard touchdown was a classic Gronkowski double coverage, back shoulder throw to Brady where he muscled his way in the end zone. At the end of the half, he split two defenders on a deep seam route where he made a fantastic catch despite a defender clearly pulling on his arm. But Gronk is a force multiplier, he is a great decoy as well. On James White’s touchdown he lined up in the slot on the right and cut left and took all of the defenders with him, White was left with a huge hole in the defense to work in. Dorsett’s touchdown was similar. The guy continues to be unstoppable. The offensive line was thought to be a question mark by some even though they had four of five starters returning. They were facing one of the best front sevens in the NFL and one that has a plethora of pass rushers. And for much of the day, Tom Brady could stand flat-footed in the pocket and go thru his progressions. Trent Brown did a tremendous job on Jadeveon Clowney all game long and the talented pass rusher was invisible for most of the game. He and Whitney Mercilus were relegated to a milk carton in the game. Marcus Cannon did a tremendous job on J.J. Watt who did get a couple of hits on Brady when LaAdrian Waddle came on the second half. The Texans did get a couple of sacks from the interior of the line late in the game. The only picky thing we can find is that the run blocking was just okay but not great. The team averaged just 3.9 yards per carry, again okay but not where they want to be. However, they did rush for 122 yards on that front seven, so we’re not going to harp on that at all. Unlike a year ago, the Patriots were for the majority of the afternoon, able to keep Deshaun Watson in the pocket and stop him from gaining the edge and making plays with his feet. The rotation of DEs was working and they kept fresh legs out there with Adrian Clayborn and newcomer Keionta Davis playing well too. Lawrence Guy is the most underrated player on the Patriots. Guy had a great game and provided solid run support as well as pushed the pocket. He forced Watson’s throw that was picked off by Gilmore. The run defense overall was not good, the Texans were running at Malcom Brown and Adam Butler and that will have to be tightened up. In the second half, however, it looked like the team was going to a smaller box and playing more two deep safeties, but we’ll have to rewatch the tape and see if some of the issues were by design. Kyle Van Noy, rookie Ja’Whaun Bentley, and Dont’a Hightower played the most snaps. Bentley was really good for the most part and moves all over the field pretty well for a big man. He was out of position, however, on the 31-yard run by Lamar Miller in the first half. Elandon Roberts came on in the second half and had one really bad series, where Alfred Blue and the Texans gashed them on the ground. Roberts has a penchant for filling the wrong gaps at times and that series was not good. But in covering the backs and tight ends, the linebackers had a very good game. The running backs had just two catches and TE Ryan Griffin was shut out. It was a pretty good start to the season, while they have a lot of room for improvement, it was light years better than the start to 2017. Stephon Gilmore continued the outstanding play that he’s demonstrated since the midway point of last year. He had a strong spring and summer and he was matched up with one of the best WRs in the game with DeAndre Hopkins. Hopkins had his catches, he ended up with eight for 78 yards but he wasn’t a difference maker in the game. The Texans were trying everything in their power to get him the ball but Gilmore blanketed him all game. His interception was a phenomenal play. Gilmore ran from the other side of the field when he saw Eric Rowe in single coverage and covered a tremendous amount of field with the ball in the air and went up, high pointed the ball and snagged the interception out of the hands of Rowe. Rowe had a pretty solid game as well, while Ellington had just four catches for 37 yards. The safeties did a very good job of communication (the opposite of 2017) and the bunch formations that gave the team fits in 2017 didn’t phase them this time around. The normally solid Patriots special teams coverage units laid a clunker against the Texans who were one of the worst STs units in the league last year. Houston averaged 31.2 yards per kickoff return, not what I would consider anywhere near the Patriots par. But it was the first game of the season and the team did lose a couple of their core special teamers in Brandon Bolden and Jordan Richards while Jacob Hollister missed the game due to injury. Riley McCarron muffed a punt which allowed Houston to score on a short field to cut the score to a touchdown late in the game, but it was also his first NFL game. He’ll hear it from the coaches this week. On the plus side, Stephen Gostkowski was perfect on three PATs and both FG attempts. And Ryan Allen had six punts for a 46.8-yard average. Included in that was his last-minute punt that went 55 yards and was downed on the one-yard line. Bill Belichick had the team ready to go this season. The Texans tried to replicate their game from last year where they bunched their formations and got the Patriots secondary confused but this time, it didn’t work. The defense was well prepared for it plus the movement of Watson in the pocket. Dante Scarnecchia had the OL extremely well prepared to face the Texans pass rush and stout front seven. The offense knew they were thin at WR but they worked up a game plan that got everyone involved. Josh McDaniels was still able to find ways to attack the secondary and the Patriots were still balanced in the running and passing games. Brian Flores and the defense earn high marks of the week. The Patriots defense looked much, much better this week than they did at this time last year. Overall, very high marks for the coaching staff, but an even tougher test awaits this week. 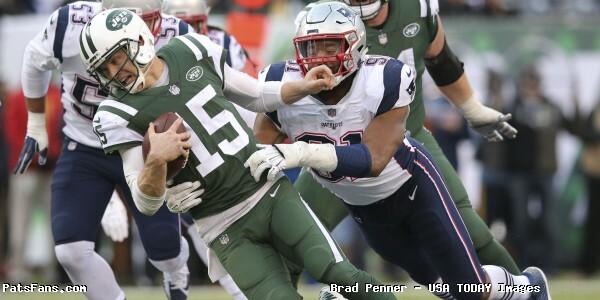 This entry was posted in 2018 Patriots Regular Season, NFL Commentary, NFL News, Patriots Commentary, Patriots News, Patriots Rumors, Patriots Twitter and tagged 2018 Patriots season, Bill Belichick, Chris Hogan, DeAndre Hopkins, Deatrich Wise, Deshaun Watson, Dont'a Hightower, Elandon Roberts, Eric Rowe, Houston Texans, Ja'Whaun Bentley, Jadeveon Clowney, James White, Jeremy Hill, JJ Watt, Ju, New England Patriots, NFL, Patriots, Patriots edge rushers, Rex Burkhead, Riley McCarron, Rob Gronkowski, Stephon Gilmore, Tom Brady, Trey Flowers, Whitney Mercilus on September 11, 2018 by Steve Balestrieri. The Patriots entered week 2 of the preseason with a little extra “hype” surrounding their matchup with the defending Super Bowl champion Philadelphia Eagles. While the game wasn’t going to be a true “rematch” of the defeat back in February, there were enough reminders of the Super Bowl thanks to the Eagles fanbase. Quarterback Tom Brady, who didn’t see any action against the Redskins a week ago, was reportedly expected to play the entire first half, and he didn’t disappoint. Brady, a perfect five for five on the opening drive, found Chris Hogan for the games first points. Tom Brady's first drive of the preseason: 5-for-5, 26 yards, and a touchdown pass to Chris Hogan. 7-0 Patriots early in the first. 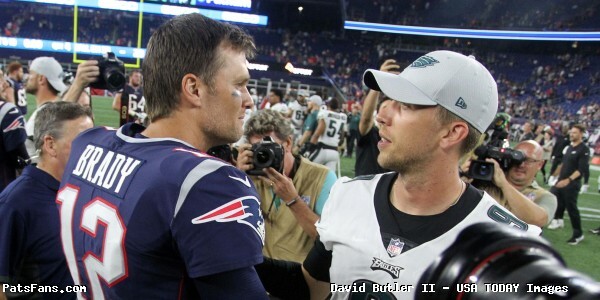 In what would become a recurring theme throughout the night, the Patriots defense made Eagles quarterback Nick Foles uncomfortable, and quickly off the field. The Patriots have already forced more Philadelphia punts tonight (two) than the did in all of Super Bowl LII (one). Good start for the defense. A Stephen Gostkowski 37-yard field goal put the Patriots up 10-0 after one quarter of play while Tom Brady looked as smooth as ever. At the start of the second quarter, the good feelings were brought to a halt, when rookie tackle Isaiah Wynn was carted off the field with an ankle injury. It was then reported on Friday that Wynn tore his achilles and will miss the entire 2018 season. The defense continued to make big plays, as newcomer Adrian Clayborn forced a strip sack that was recovered by rookie Ja’Whaun Bentley and returned 54 yards for a touchdown. 17-0 Patriots at the 12 minute mark of the second quarter. Brady was in midseason competitive form. With 6:29 to go in the second quarter, the Eagles got on the scoreboard by way of a four yard touchdown pass from Nate Sudfeld to Shelton Gibson. The new additions continued to shine on Thursday night, as wide receiver Cordarrelle Patterson showed off his speed. The catch and run led to a Gostkowski 49-yard field goal to bump the lead to 20-7 with 3:46 to go in the second. James White and the offensive line aided Brady with another touchdown under two-minutes in the half. Y’all need to stop sleeping on my dawgs!!! @SweetFeet_White too nice with that pigskin boiii! give that man respect! At the Half the Patriots found themselves up 27-7 as Brady’s impressive night came to a close. In the second half, the young Patriots defense continued to impress as rookie Christian Sam came up with an interception. The turnover led to Cordarrelle Patterson’s first touchdown as a Patriot from backup Brian Hoyer. 34-7 Patriots at the 10:27 mark in the third quarter. Since trailing 17-0 in the first half last week, the #Patriots have outscored opponents 60-14 #Patriots #PHIvsNE. Midway through the third, the Eagles offense put together consecutive scoring drives for the first time all night, with Sudfeld finding Richard Rogers and Rashard Davis to bring the score to 34-20 after three quarters. In the fourth quarter, Gostkowski nailed 29 yd field goal and that would be it for the scoring as the Patriots would go on to win their second preseason game of 2018 by a final score of 37-20 on an all around impressive showing by both sides of the ball. A sweet shout out from @sweetfeet. This entry was posted in 2018 Patriots Training Camp, Patriots Photos, Patriots Twitter, Patriots Video and tagged Adrian Clayborn, Brian Hoyer, Chris Hogan, Christian Sam, Cordarrelle Patterson, Isaiah Wynn, Ja'Whaun Bentley, James White, Julian Edelman, Kyle Van Noy, Patrick Chung, Stephen Gostkowski, Tom Brady on August 18, 2018 by Robert Alvarez.